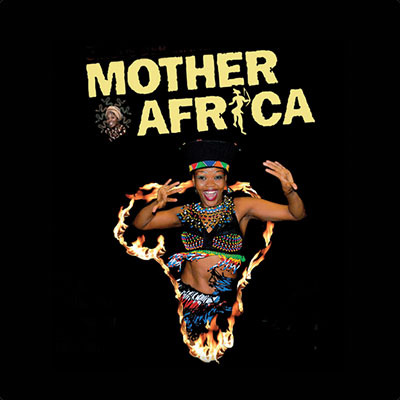 MOTHER AFRICA | Love Productions Inc. The heartbeat of Africa pulsates throughout this jaw-dropping show as the acrobats, musicians and dancers articulate their passion and love for their homeland. Already enjoyed by millions of people worldwide, this entertaining extravaganza combines the talents of nine African countries—Ethiopia, South Africa, Kenya, Tanzania, Ivory Coast, Benin, Zimbabwe, and Guinea—to provide the wonder, suspense and joy of Cirque Mother Africa. Incorporating authentic masks, drums, beads, costumes and amazing sets, Mother Africa bring forth the feel of African traditions.